Hiking is great way to spend a day outdoors and a rewarding way to get exercise. However, before heading out on the trails, make sure you are prepared. Never take a quick look at a hike description in a book or on a site like this and just head out into the woods, no matter how easy the hike may appear. Planning ahead will greatly increase both your safety and your enjoyment of the hike. Below is a list of some things to consider before hitting the trail. One item that will make or break your hiking experience the most is your footwear. Good footwear will make all the difference! The range of hiking boots varies form less expensive day boots to the greater support and durability of trekking boots. Whichever boot you choose, make sure they are waterproofed with a product like Gore-Tex. Make sure to check the weather before you head out so you can dress accordingly. A hat,sunscreen and bug spray are must-bring items, even on a somewhat cloudy day. Always make sure to bring plenty of water! During the warmer months, the average person generally goes through 2 liters of water on a 8-15 mile day hike. Know how long your hike will take and bring the appropriate amount of food and water. Bring extra nutrition such as high calorie energy bars, just in case the hike takes longer than you had anticipated. Bring a small first aid kit. 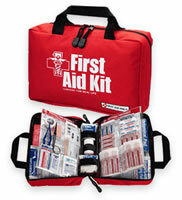 At a minimum, your kit should contain aspirin or ibuprofen, a few bandages, and some antibacterial cream. These are the basics that will come in handy in case of a cut or scrape, and can help until you are able to seek professional medical attention if you need it. Waterproof matches or lighter and a small flashlight are also important items, should you get caught out after dark. 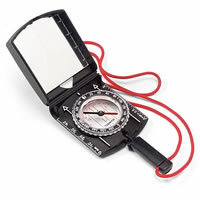 Make sure to bring a compass and a good quality topographical map, with specific directions for your hike. Knowing the topographical contours of a particular trail will help you if you're unsure of your exact location on the hike. Bring a mobile phone, in case of an emergency. You may not get service along the valley trails, but, with the prevalence of communications towers, there is a good chance that you may be able to get a service signal from the ridges. If someone in your group gets injured, this may be your best bet to get the quickest help. Before hitting the trail, get a weather forecast as close to your hike time as possible. As we all know, weather forecasting isn't an exact science and the weekend forecast issued on a Monday or Tuesday can be significantly different from the forecast issued on Friday afternoon. You don't want to go out on a hike without wet weather gear, if there is a chance of rain. If you're hiking in a region that has poison ivy, oak or sumac, make sure you are aware of what the plants look like and how to avoid them. If you have never suffered a reaction in the past, don't think you are immune, it can be the exact opposite. The oils that cause the rash can have a cumulative effect on your resistance. Sometimes it isn't until the third or fourth expose that some people develop symptoms. If you believe you may have been exposed to poison ivy, oak or sumac, taking immediate action can reduce the length and severity of an outbreak. A product we have found to work very well is Tecnu, and can be purchased at most drug stores. Applied with warm water, it removes the irritation-causing oils from the skin. Here is a site with a wealth of information about the plants. One of the most important things to do before leaving for your hike is to let someone know your plans, whether hiking by yourself or in a group. At minimum, let someone know where you're going and when you plan to return.